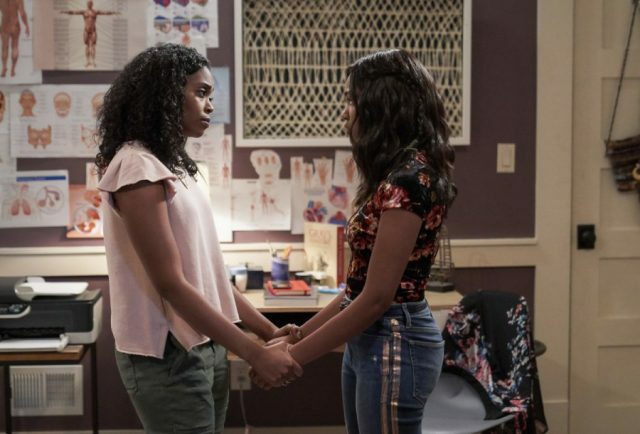 Black Lightning 2.4: “The Book of Consequences: Chapter Four: Translucent Freak” Review – Eggplante! It turns out that Tobias Whale’s arrest was all part of a bigger plan, and that’s only the first of Jefferson Pierce’s worries on the latest episode of Black Lightning. The drama certainly ran high this week in, “The Book of Consequences: Chapter Four: Translucent Freak”, the final ‘chapter’ of the ‘Book of Consequences’ episodes before the show takes a week off and returns in mid-November, between Tobias playing the Freeland P.D. in a big way, Jennifer struggling with her new therapy, and Jefferson finally finding out the truth about Anissa’s moonlighting activities, all in all leading to a pretty good episode with plenty to chew on. It still feels like Tobias’ story arc is undergoing a very slow burn, especially when Khalil has more often taken a centralized antagonist role through the early reaches of Season Two so far. That appears to be shifting however, as Henderson figures out that Tobias got himself arrested on purpose, so that he could make a big show of being wrongfully accused, inevitably be released, and thus allow himself to be exonerated and return to ‘public service’ for Freeland. The idea that Tobias called the tip on himself is certainly unexpected, especially with Tobias’ arrest being the big cliffhanger ending to last week’s episode! Even all of Jefferson’s efforts to try and testify about witnessing his father’s death after all of the evidence is stolen end up completely failing to get off the ground. Tobias’ plan goes off without a hitch, and he’s allowed to fully re-assume public adoration in Freeland, as well as leadership of The 100 gang. Tobias only becomes more dangerous when he authorizes the low-level arms dealers that Anissa has been robbing to start going out for blood as well. It’s too bad that the show didn’t take the opportunity to allow Gambi to get caught in the middle of the impending Jefferson/Anissa debate, on this note, with Gambi instead ratting out Anissa right at the start of the episode, particularly as her ‘victims’ inevitably start preparing a counter-attack. This leads to a predictably ugly argument between Jefferson and Anissa, which ultimately ends with Anissa moving out and going to stay with Gambi. This is actually a pretty decent idea, but frustratingly, it seems like the show doesn’t give it the proper time to stew. 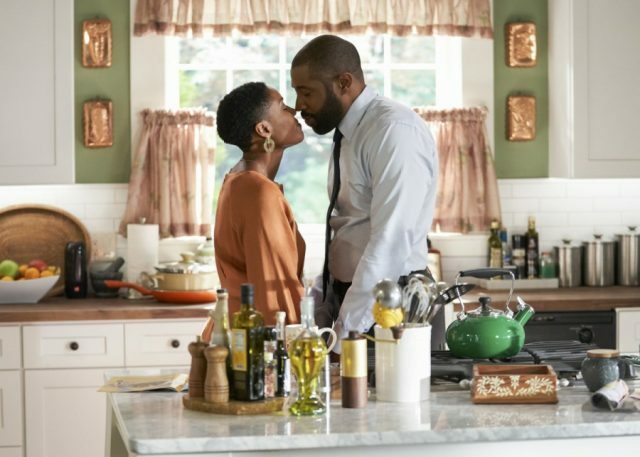 Instead, Jefferson and Anissa patch things up and go back to their usual crime-fighting alliance as Black Lightning and Thunder barely a few scenes later, making this pivotal argument between the two feel like it disappointingly lacks real impact. The two still take a few shots at each other, so maybe this conflict will come back around later, but both heroes having to fend off an attack on the clinic that Anissa’s ‘re-possessed’ money has been going towards seems to put that mess to bed pretty efficiently too. What was even the point of Anissa’s secret robbery missions and their supposed fallout then? Jennifer’s certainly got her own problems as well, as she starts struggling with her therapy under Perenna, being unable to separate herself from her former feelings for Khalil. After a pretty awesome cold open wherein Jennifer seemingly has to fight off Khalil after he attacks the Pierce family on her prom night, in a Perenna-induced illusion, it becomes apparent that Jennifer’s powers still aren’t under any greater degree of control. After Jennifer accidentally fries another laptop, Jefferson and Lynn officially make the decision to home-school Jennifer and permanently keep her out of Garfield High to boot. This is another story arc with a lot of promise, and I’m glad to see that Black Lightning is indeed taking its time with allowing Jennifer to get her powers under control. Even better is that Jennifer being cut off from her friends turns out to be what brings her right back to Khalil as well, with the two sitting at Garfield late at night as fellow outcasts, lamenting their respective situations. It’s actually a pretty inspired twist, and if Jennifer ends up having to battle Khalil later, it will only make this conflict all the more tragic and heartbreaking. That said, Jefferson does have a point when he says that Garfield is going downhill for other reasons, namely under its new leadership. Last week’s episode failed to explore this conflict to any meaningful degree, but that was thankfully rectified in this week’s episode. After Jefferson breaks up a fight between two students and has the two shake hands and forgive each other, Principal Lowry steps in and expels the boy who threw the first punch, while suspending the other boy for a week. Jefferson aggressively tries to fight this, but Lowry keeps invoking the school’s zero-tolerance violence policy. This was a great way to really highlight exactly why Lowry presents a big problem for Garfield, well beyond his being Caucasian. He’s a pencil-pusher who doesn’t truly care about the fate of the students. Not only was this a way to give Jefferson true justifiable reason to really resent Lowry, but it also called into question how Jefferson ran things before, and whether his reputation as Freeland’s ‘Black Jesus’ has given him a swelled ego. Considering that he makes decisions for his daughters without a second thought, it’s something that’s certainly worth thinking about. Two more subplots between Lynn and Gambi rounded things off, even if Lynn is still mostly stuck in a lab bumbling around with the proudly misanthropic Dr. Jace. After a cryokinetic metahuman dies and Jace revels in the chance to extract data from the corpse, much to Lynn’s discomfort, Jace talks about the findings taken from metahumans that are related, namely that the metahuman gene can officially be passed on to one’s descendants. This is basically a big fat hint that the Pierce family is going to be very vulnerable to the ASA if they discover the truth about Thunder’s connection to Black Lightning, or even find out what’s going on with Jennifer! There’s definitely a fresh excuse to get Black Lighting and Thunder back in the ASA’s crosshairs that’s starting to make itself apparent, as well as Gambi, with Gambi secretly tending to the critically wounded Kara underneath his shop, only to discover that Kara has sepsis and is dying. Kara confides in Gambi that Tobias ended up with the all-important briefcase, and is also the one who wounded her (doesn’t this present a way to potentially bring Tobias back under police scrutiny? ), before she finally passes away. Gambi is obviously not going to sit on this information for very long, and now that Tobias is back on the streets and newly-untouchable, it’s doubtful that Gambi is going to be able to hold Jefferson back for long, considering Jefferson’s numerous reasons to just take the fight back to Tobias’ doorstep again! Black Lightning presented plenty of promising developments by the end of this week’s episode. Gambi knows the location of the briefcase, The 100 now have their true leader back, Jennifer and Khalil are secretly associating behind the backs of their overseers, and the ASA is getting closer to discovering the true secret behind the Pierce family. 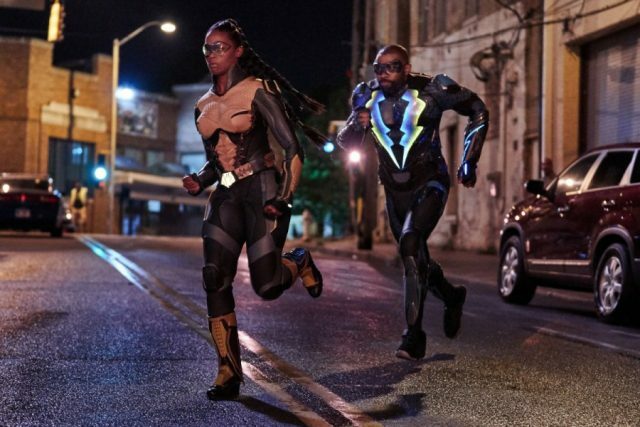 There’s been a few slower story arcs to get through since Season Two started, but it seems like we’ve got some especially exciting episodes of Black Lightning on the docket in the near future, and that’s a great thing. “The Book of Consequences: Chapter Four: Translucent Freak” sets up plenty of new obstacles for both the leads’ superhero and civilian identities, while the villains only appear to be getting stronger and more difficult to stop. Anissa in particular is about to be targeted on two different fronts, both as the biggest meddler in Freeland’s current criminal operations, and as the usual ally to Black Lightning himself, whom Tobias is now especially desperate to hunt down and destroy, given his exoneration and return to the public eye. 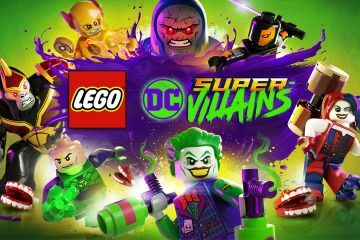 The heroes may at least have a direct line to the briefcase now, but like Jefferson said about the unintended consequences of Anissa’s clinic ‘donations’, that’s only going to make them a bigger target in the weeks to come, and that’s before the ASA starts asking more questions about Freeland’s superhero duo! Black Lightning delivered plenty of interesting drama this week, as Jefferson faces difficulties from all sides, and Jennifer finds herself losing the rest of her independence.